The letter, titled "A Common Word Between Us and You," which is also addressed to Christianity’s other most powerful leaders, including the Archbishop of Canterbury and the heads of the Lutheran, Methodist and Baptist churches, seeks to recognize similarities between Islam and Christianity as a way of fostering mutual understanding and respect between the two religions. It compares texts from the Bible and the Koran to argue that Christians and Muslims worship the same God. Both believe in "the primacy of total love and devotion to God," and both value love of neighbor and a peaceful world. In a belated response to the Oct. 13 letter, Cardinal Jean-Louis Tauran, President of the Pontifical Council for Interreligious Dialogue in the Roman Curia, told the French Catholic daily La Croix, on Friday (Oct. 26) that a real theological debate with Muslims was difficult as they saw the Quran as the literal word of God. "Muslims do not accept that one can discuss the Quran in depth, because they say it was written by dictation from God. With such an absolute interpretation, it is difficult to discuss the contents of faith." Another reading of his comments suggests that the Vatican does not want a dialogue with Muslims unless they change their belief in Quran as a revealed book. Like most Christian theologians, the Muslims have to believe that sacred scriptures are the work of divinely inspired humans. 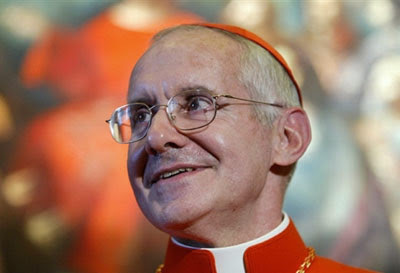 Cardinal Jean-Louis Tauran’s comments echo Pope Benedict’s statement. In the summer of 2005, Pope Benedict devoted an annual weekend of study with former graduate students to Islam. During the meeting he reportedly expressed skepticism about Islam's openness to change given the conviction that the Quran is the unchangeable word of God. Vatican response to the Muslim outreach is significant because in his Regensburg, Germany, speech last year Pope Benedict implied that Islam was violent and irrational religion. His remarks sparked bloody protests in the Muslim world and prompted the Muslim scholars to unite to seek better inter-faith understanding. Pope Benedict recently re-established an office for interfaith dialogue that he had shuttered, but the Roman Catholic Church has taken hard line stance towards Islam since the death of John Paul II in 2005, supporting diplomacy but not theological discussion. Pope John Paul met with Muslims more than 60 times over the course of his pontificate to build bridges. In May 1999, Pope John Paul II received a delegation of Iraqi Muslims who presented him Islam’s holy book, the Quran. The Pope bowed to the Quran and he kissed it as a sign of respect. However, as a cardinal in the Holy See, the Pope Benedict was known to be skeptical of his predecessor John Paul II's pursuit of conversation. One of his earliest decisions as pope was to move Archbishop Michael Fitzgerald, one of the Catholic Church's leading experts on Islam, and head of its council on inter-religious dialogue, away from the centre of influence in Rome, and send him to Egypt as papal nuncio. Benedict has spoken publicly of Christianity as the cornerstone of Europe and against the admission of Turkey into the European Council. He had said Turkey should seek its future in an association of Islamic nations, not with the EU, which has Christian roots. However, during his visit to Turkey in November 2006, Benedict softened of his opposition to Turkey's long-sought membership in the European Union. According to Marco Politi, the Vatican expert for the Italian daily La Repubblica: "Certainly he closes the door to an idea which was very dear to John Paul II - the idea that Christians, Jews and Muslims have the same God and have to pray together to the same God." Recently Pope Benedict promoted the old Latin Mass, which contains references to the conversion of the Jews. The Latin mass, largely abandoned after Vatican II, has long been hated by Jews for its emphasis on the Jewish role in turning Jesus over to the Romans for crucifixion and for its call for Jews to come into the church. The Evangelical Alliance in Britain welcomed the letter's call for peace and understanding, but also pointed to differences between the two faiths. Anglican bishop Michael Nazir-Ali said that the letter seems to undercut the role of Jesus by emphasizing a part of the Quran that urges non-Muslims not to "ascribe any partners unto" God. The two faiths' understanding of the oneness of God is not the same, he told the Times of London. "One partner cannot dictate the terms on which dialogue must be conducted," he said. "This document seems to be on the verge of doing that." The letter offers interpretations of both the Quran and the Bible on the love of God, love of neighbour and other spiritual concepts that are similar in Christianity and Islam. It pointed out that finding common ground between Muslims and Christians is not simply a matter for polite ecumenical dialogue between selected religious leaders and added that: Christianity and Islam are the largest and second largest religions in the world and in history. The letter is signed by no fewer than 19 current and former grand ayatollahs and grand muftis from countries as diverse as Egypt, Turkey, Russia, Syria, Jordan, Palestine and Iraq. Signatories include Shaykh Sevki Omarbasic, Grand Mufti of Croatia; Dr Abdul Hamid Othman, adviser to the Prime Minister of Malaysia and Dr Ali Ozak, head of the endowment for Islamic scientific studies in Istanbul, Turkey. They also include Shaykh Dr Nuh Ali Salman Al-Qudah, Grand Mufti of Jordan and Shaykh Dr Ikrima Said Sabri, former Grand Mufti of Jerusalem and Imam of the Al-Aqsa Mosque. Jordan’s Royal Aal al-Bayt Institute for Islamic Thought in Amman has been working for more than three years to prepare this letter. The Royal Institute was also responsible for the widely read Open Letter to the Pope following his controversial speech last year, which was signed by 38 high-level Muslim leaders.